An important discovery for the environment. November 30, 2014—“For all the advances in aircraft design over the last century, the wings of an airplane are still fundamentally clumsy,”–David Szandy. 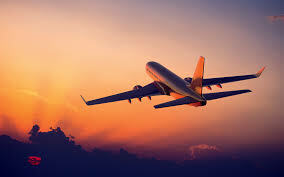 Researchers at NASA have developed and tested airplane wings that make a plane quieter and more fuel efficient. The result: Airplane flaps that have been replaced with, “advanced shape-changing assemblies that form seamless bendable and twistable surfaces.” The Adaptive Compliant Training Edge (ACTE) is a NASA/Air Force project that improves efficiency and creates a quieter airplane ride upon take off and landing. The really great part! This system can be retrofitted to existing planes. The Flexfoil system is currently being tested by NASA, has passed all tests and is ready for its final demonstration. One of the most significant inventions for airplanes. 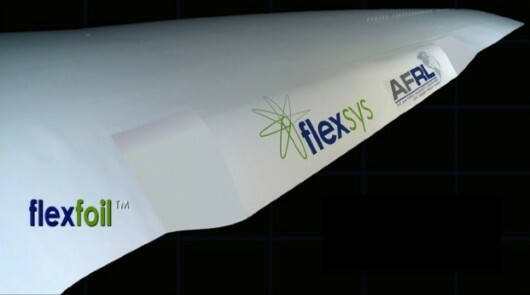 The flexfoil was created by Dr. Sridhar Kota, founder of Flexsys of Ann Arbor Mich. His system is expected to have great effects on the future of aviation. The project replaced the conventional, rigid hinged flaps of an airplane, with advanced, shape-changing flaps that “form continuous bendable surfaces.” When conventional flaps are lowered, gaps exist between the forward edge and sides of the flaps and the wing’s surface. The ACTE flaps will be gapless, forming a seamless transition region with the wing, while remaining attached at the forward edge and sides. The flexible flaps are able to morph into whatever shape the flight conditions require, with the ability to bend the wing’s flaps up to 40 degrees. What materials do the new flexfoil flaps consist of? This information hasn’t been revealed to the public. Thomas Rigney, project manager, said “We expect this technology to make future aircraft lighter, more efficient and quieter. It also has potential to save hundreds of millions of dollars annually in fuel costs.” Although it may be costly to replace old airplane flaps, doing so would be cost effective in the long run, earning back the investment within approximately 3 years. Replacing the flaps of older airplanes would be even more cost effective, as these are not designed to be as efficient as newer models. Fayette Collier, an aerospace engineer who runs the NASA Environmentally Responsible Aviation Project, which is funding the test flights along with the Air Force, says that if he had to put the significance of the Flexfoil system on a scale of 1 to 10, it’s probably an 8 or 9.
improving the efficiency of airplanes, while burning less fossil fuel! Categories: Pollution, Renewable Resources | Tags: ACTE, Dr. Sridhar Kota, Flexfoil airplane flaps, Fossil fuel | Permalink. A jet engine powered by gas.